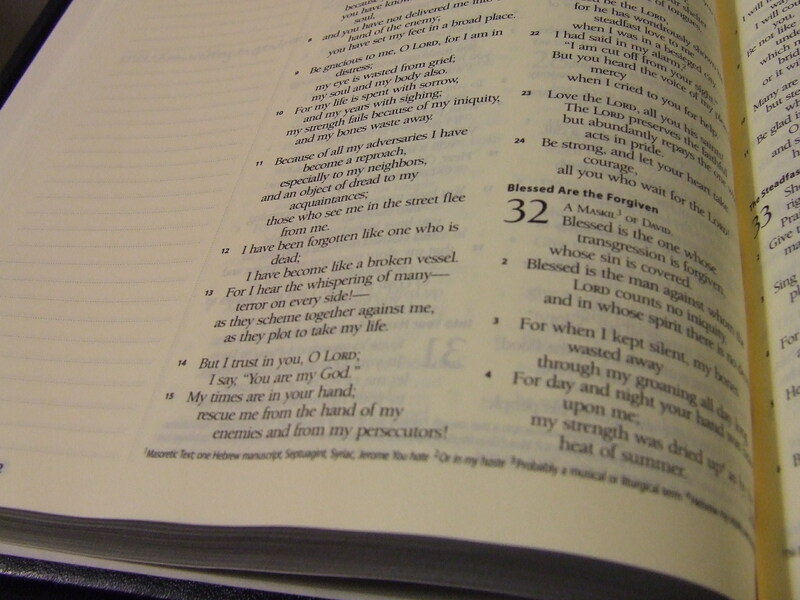 This year, I decided to follow the reading plan in my English Standard Version Study Bible. I love that translation and I have profited so much from the book introductions, charts, cross references, and notes; however, I really don’t like marking up study Bibles and I tend to mark a lot as I read. 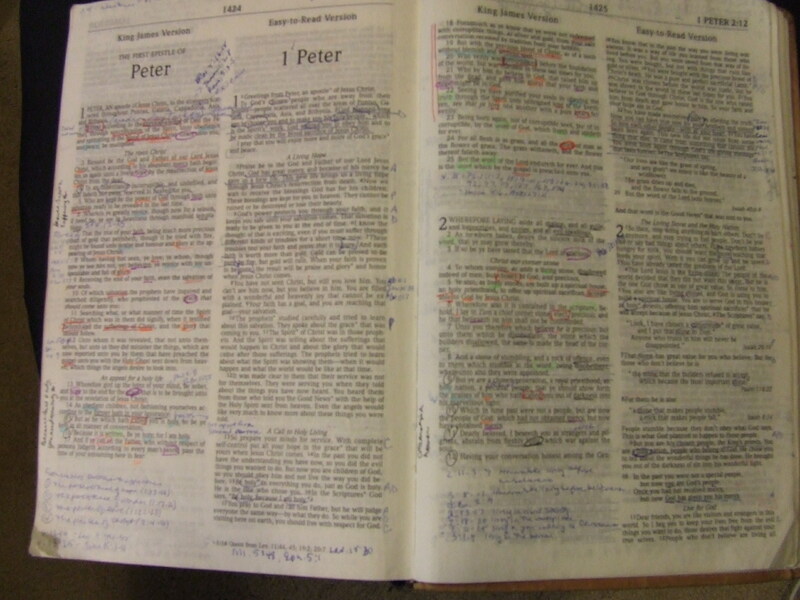 Note: I don’t think that marking up your Bible is a sign of spirituality or anything, but it helps me remember what I’m reading, and it was part of my justification for buying a Bible with extra room for writing. Here’s a sample page from my KJV/ERV. I can read the text easily; the paper is slightly yellowed for easier reading and the font is a nice size for a smaller Bible. I especially like the lined, wide margins, which make taking notes very easy. I only wish the spacing between the lines of text were a little bigger, but I think this spacing is standard for all Bibles. My KJV/ERV had normal spacing and I was able to underline pretty easily, but sometimes the pen marked out the word. 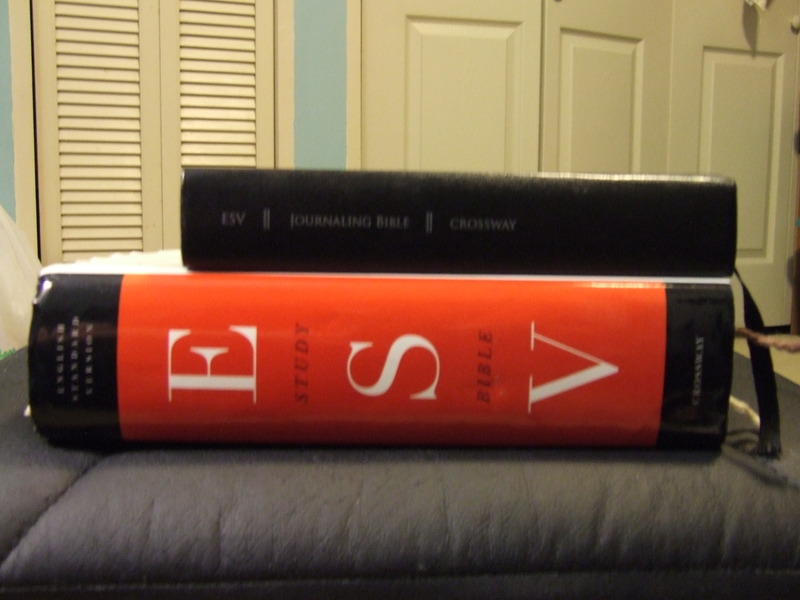 I plan on using pens with thinner tips when writing in the ESV. 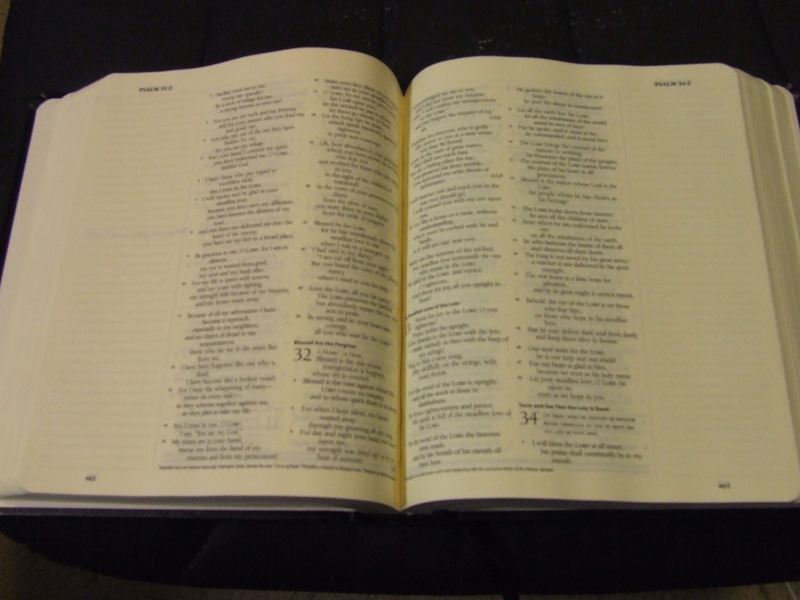 I look forward to learning more about God as I read His Word in this beautiful Bible.